What is "white" to you, or what is "fair skin" to you? There are different between white and fair skin. You know what I mean? I mean who wanna look like the... undead? Unless its celebrating vampires day! 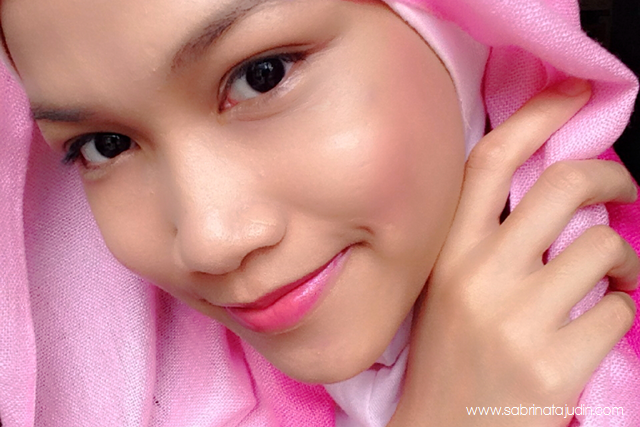 The best fair skin is to have that rosy or I might say glowing skin! That makes us look healthier and much more fairer! Today I am going to show you some tips on how to achieve that fair and rosy look with a simple makeup! No we don't need that lot of makeup! Trust me! See above picture, this is the look I am going to show you how! Of course! Before applying makeup, its a a MUST to apply good skincare. 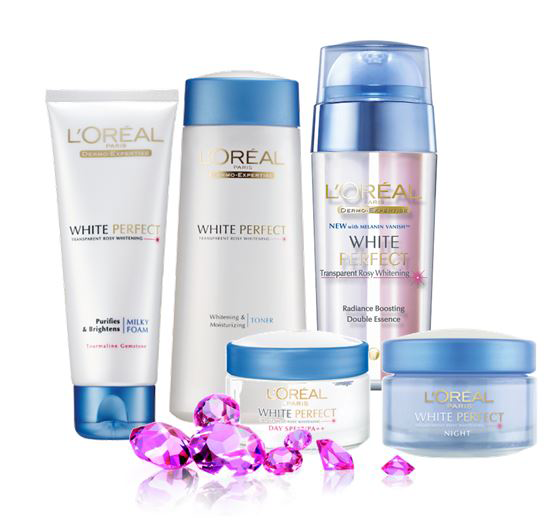 Like the L'Oreal White Perfect Range! Here are the range that you can use on the day time where usually for your morning routine before makeup! It is enriched with Pro-xfoliatine, helps to smoothes skin surface giving you clearer skin.Is coo refreshing! It makes my skin kinda "awake" and ready for the next step! Along with that it hydrates your skin so your skin is much more better prepare and helps to makeup your makeup look dewy and nice! The star product, combine both "magic" cream to get that awesomeness in one bottle. It contains Melanin Vanish (white) and Toumaline Gemstone (pink) to help reduce dark spots and uneven skintone. Its a sources from a "pink gemstone" that brights beautifully in pink, which actually the benefits you get for your skin! Now, moisturize your skin with a protection! Along with helping your skin to be fairer it protect you from harmful UV Rays that cause your skin to darken. Now you are ready! heee suka tutorial ni, comel semuanya!! Cantiknya sab! Glowing gila hihi pretty!